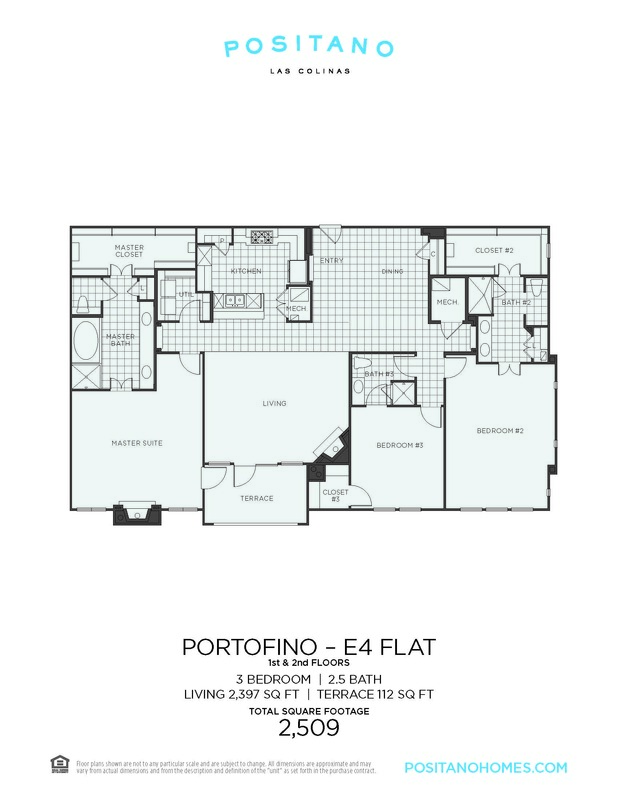 Portofino features fireplaces in the great room and master bedroom. The spacious outdoor loggia can be accessed from the master bedroom and the living room, and is large enough to accommodate an outdoor dining space. 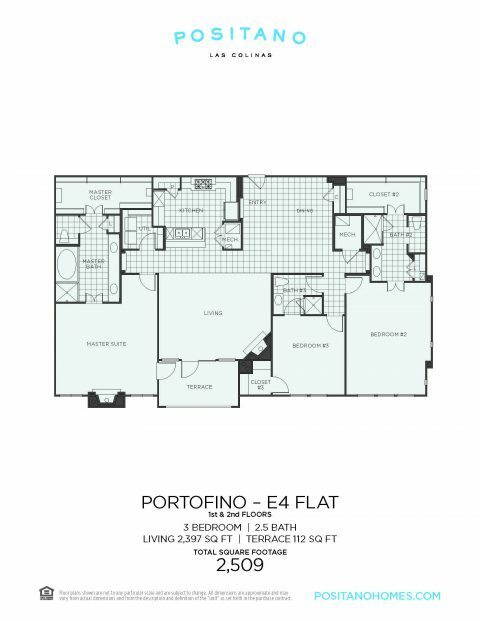 The E4 plan includes walk-in closets in each bedroom, and an additional storage space in the third bedroom.